Picture sent in by Anonymous. Thanks! 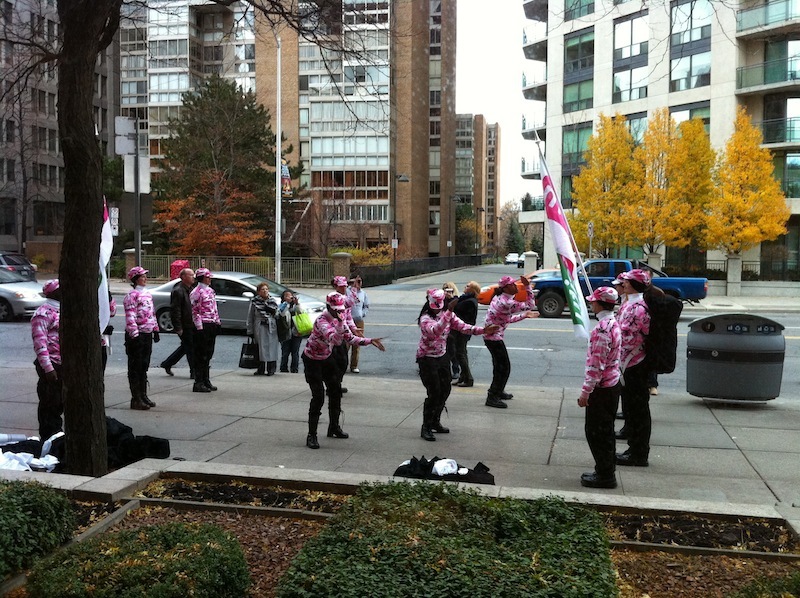 Here’s a video from earlier today of Mobilicity staging a rally outside Rogers’ headquarters. Dressed in ‘militia-style’ gear, the 4 minute video shows the Mobilicity team drumming for unlimited wireless from Rogers. Mobilicity has recently introduced unlimited data for only $10. In other news today, the Competition Bureau has seeked a court order to impose a $10m fine on Rogers based on false advertisements. The ads claimed that Rogers’ new Chatr brand had a lower rate of dropped calls versus new entrants Wind and Mobilicity. “New entrants attempting to gain a foothold in the market should not be discredited by misleading claims made by their competitors,” the bureau’s commissioner, Melanie Aitken, said in a statement. 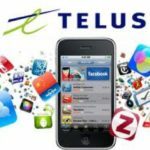 Both Wind and Mobilicity had filed complaints about the Rogers advertisments, which claimed a lower rate of dropped calls on Chatr compared with the new entrants. The bureau said its two-month investigation involved an extensive review of technical data obtained from numerous sources and showed “no discernible difference in dropped call rates between Rogers/Chatr and new entrants”. Rogers was not immediately available for comment. The Competition Bureau is seeking a court order for Rogers to scrap the ads and pay a C$10 million ($9.8 million) fine. What do you think of this Mobilicity marketing idea and the potential $10m Rogers fine? Kudos on these new entrants for putting some pressure on the ‘Big 3’ carriers in this country. “We’ve completed extensive testing in coverage areas across the country and there’s no question that the testing validates the advertising in market,” said Todd Stone, President & CEO, Score Technologies. Score Technologies is an independent third party organization that specializes in network testing for leading wireless carriers across North America.